Here we share a link to Download Huawei Mate 9 B365 Android Oreo Firmware update. Previously we shared the Mate 9 B363 Oreo Firmware and now one more update is available which not only bring the latest Emotion UI 8.0 and Android 8.0 Oreo. The update improves system security with Google security patches. 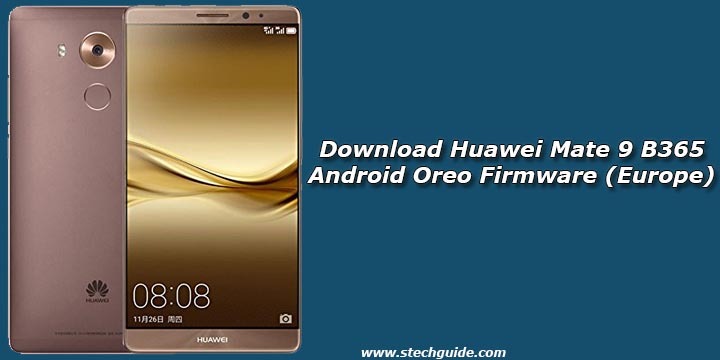 Download Huawei Mate 9 B365 Android Oreo Firmware from below. EMUI 8.0 brings all Android Oreo Features along with floating Navigation dock, home screen shortcuts, Faster AI-based optimizations deliver greater stability, fluidity, and speed, enhanced protection, and lots of new features and settings. Other than that Mate 9 B365 Oreo update comes with many new features and bug fixes. You can check the complete features and changelogs from below. You can Download Huawei Mate 9 B365 Android 8.0 Oreo Firmware from below. Huawei Mate 9 B365 Oreo firmware update is available for both MHA-L29 and MHA-L09 variants. The update is rolling out via OTA and available for European users. B365 Oreo update for Mate 9 comes with a build number MHA-L29 8.0.0.365 (C432)/MHA-L09 8.0.0.365 (C432). Download Huawei Mate 9 B365 Android Oreo Firmware from below. This Firmware file is only for Huawei Mate 9 MHA-L29/MHA-L09. Don’t try this on any other device. Download the above three files and rename the “update_data_full_public.zip” file to update_data_public.zip and “update_full_hw_eu.zip” to update_all_hw.zip. Download the above three zip files. 2) Now boot your device into fastboot mode by using Volume Down + Power. 3) Now run Replace_Recovery.bat in HWOTA8 to flash TWRP recovery. 6) Put hwota8_update.zip, MHA_RECOVERY8_NoCheck.img, and three Huawei update package (update.zip, update_data_public.zip, and update_all_hw.zip) files into “HWOTA8” directory. 7) Now install sdcard hwota8_update.zip via TWRP. 8) Your device will reboot and install the update automatically. This is the easiest way to Download Huawei Mate 9 B365 Android Oreo Firmware. If you have any questions comment below.